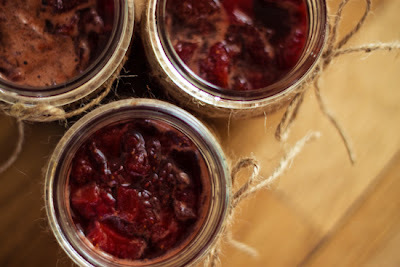 Making homemade jam has always been one of those things I was just afraid to try, until yesterday that is. I did my weekly grocery shopping and was pleasantly surprised to find a 4lb box of strawberries on sale for 4.99 (at Albretson's). That is the cheapest I have seen in a long time, so I couldn't pass it up! 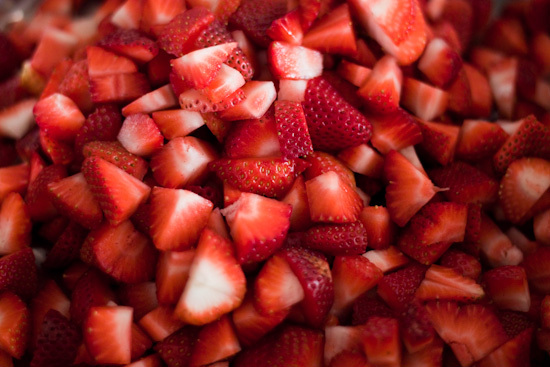 I took my beloved strawberries home, set them on the counter, and stared at them for a few minuets trying to figure out what to do with them. I decided strawberry jam would come in very handy, especially since I had just made a batch of fresh whole wheat bread, and am planning on making waffles sometime this week. I started looking up jam recipes online (I hardly ever open a cook book anymore), and was shocked to find how much sugar was needed to make a batch of jam, something like 4 cups of sugar to 2 cups of strawberries...yikes! 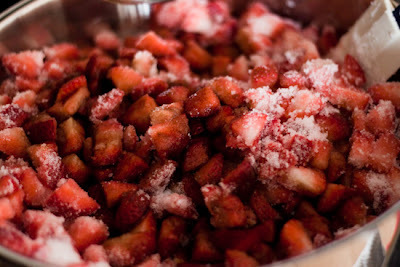 But then I went to my new favorite cooking website savorysweetlife.com and found a delightful jam recipe that only called for 1 cup of sugar to 2 cups of fresh strawberries. 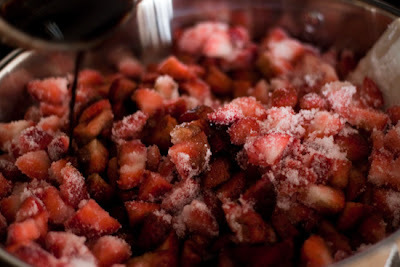 Plus, this recipe uses balsamic vinegar instead of pectin. 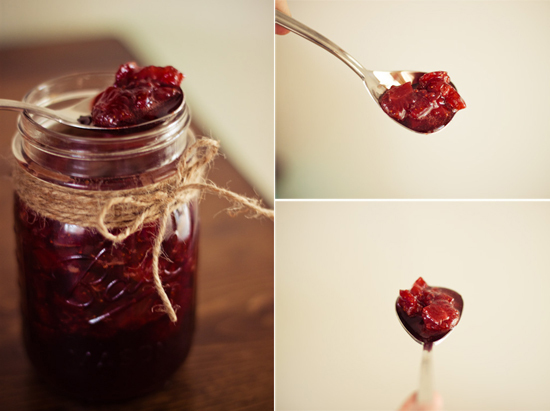 Click below to get my personal how-to and simple idea for gifted jam! 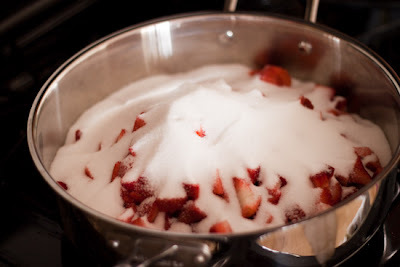 *Before reading the how-to remember that I quadrupled the recipe (in case your wondering why it looks like I have so many strawberries). Step 1. Chop Strawberries into small pieces and place in a large pan. Step 2. 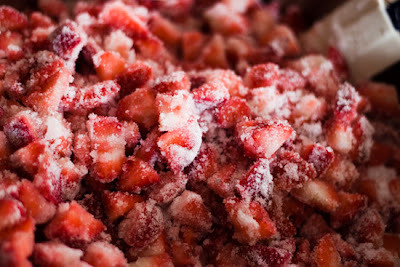 Add sugar and stir to coat strawberries. 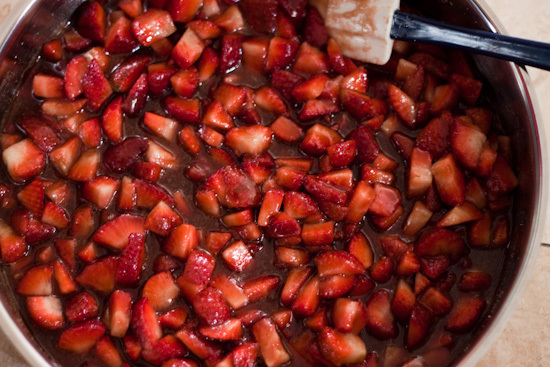 Then mix in balsamic vinegar. Step 3. 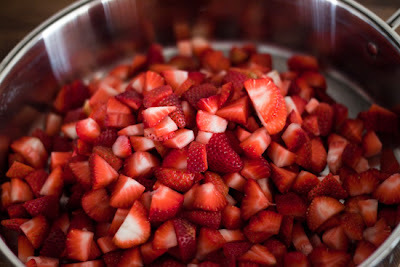 Cook strawberries on medium heat for about 20 min. Step 4. 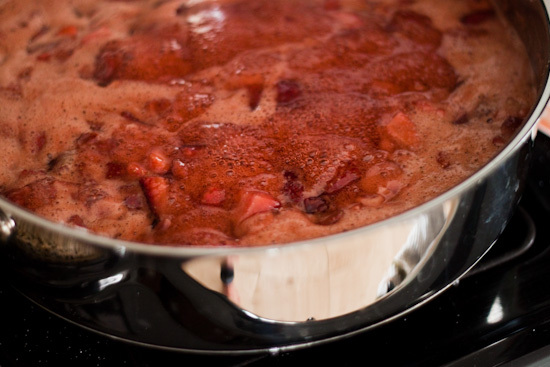 When the Jam has reached the consistency of honey turn off the heat and let cool (or if you have the proper thermometer, heat the strawberries until they reach 220 degrees F). You can eat right away, or store in the refrigerator for later! I love how the balsamic vinegar turned the jam a deep red color! Homemade jam is a great simple gift idea for friends and family! 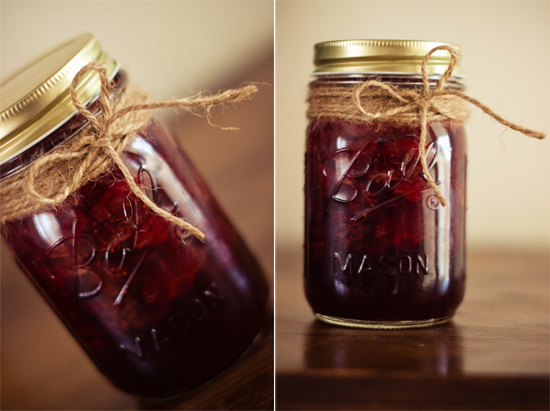 To spruce up the jars a bit I wrapped twine around the top of the jar, and finished them off with a bow, super easy and charming! That looks yummy! 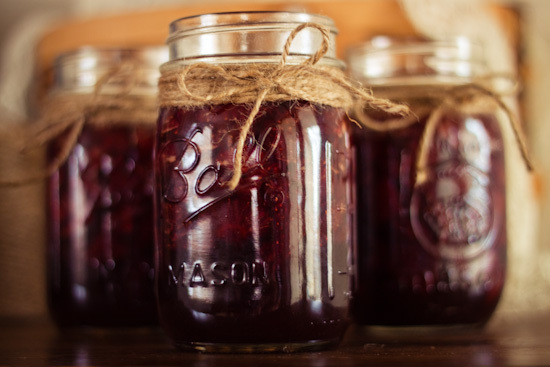 I am sure you can read it online, but i love a book called The Blue Book (got it at walmart or cal ranch) that tells you how to make and jar lots of different jams for long storage. All you need is a water bath. The book also tells you how to jar homemade salsa, soups, veggies and fruits. It's been really fun to try out! 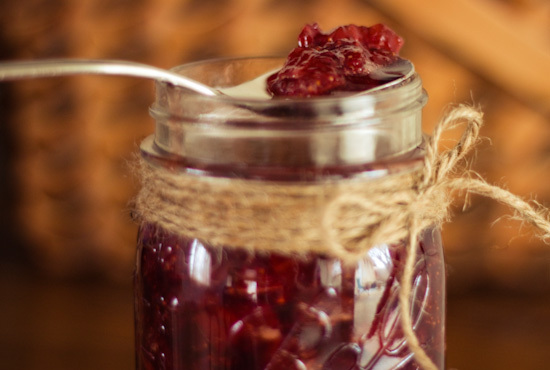 That jam looks delicious. I can almost taste it.